The 89th Annual Academy Awards, 2018 Oscar is over, but this doesn't mean the close of the awards season this year. The red carpet is rolled out again! The 2018 MTV Movie & TV Awards ((formerly MTV Movie Awards)) brought us a stirring battle between Hollywood's heavy hitters. With the best movie winners announced on May 7, get ready to see who will go home with an armful of trophies? Prepare popcorns for 2018 best movies. Here we have the simple way to free download 2018 MTV Movie & TV Awards video, including the nominated/awarded Hollywood movies, TV shows, and videos about the ceremony. The 26th MTV Movie & TV Awards will fete the best movies and most-talented performance over the past year, and feature exclusive moments of the 2018 upcoming movies. If you are out of luck with getting the tickets for the ceremony, or get stuck with work or something that keep you from going there, what would you do? Don't worry, you can free download 2018 MTV Movie & TV Awards videos from YouTube, including the TV shows, movies as well as videos to get rid of the freezing, stuttering or choppy playback due to poor internet connection. To do this, try MacX YouTube Downloader. This is a totally free, reliable, 100% clean video downloader that will free download live show, nominated movies, winning movies, TV shows, ceremony videos of 2018 MTV Movie & TV Awards free from YouTube, Vimeo, 300+ sites in MP4, WebM, FLV, 3GP, 1080P, 4K UHD, vr etc within minutes. Step 1: Free download the video downloader on your computer. Launch it and open your web browser to copy the video URL; paste it to the message box and then click "analyze" to load the video details. Alternatively, you can press "paste & analyze" button and the download software will automatically detect the desired YouTube video. Step 2: Choose video format, resolution and file size that you desire to get after the download. You can download the Awards from YouTube free in FLV, MP4 or WebM format. Step 3: Press "Browse" button to specify an output folder on your computer to save the downloaded video. Step 4: Hit "Download Now" to begin downloading the video from YouTube on Mac for free. After several minutes, you can free enjoy the downloaded awards video. 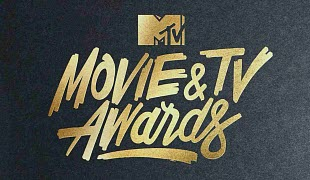 The 26th annual "2017 MTV Movie & TV Awards", hosted by Adam DeVine, starts on May 7, 2017. The lineup features more superstar celebs Josh Gad, Hailee Steinfeld and Rebel Wilson, nominators and guests. Whether you want to see attractive actresses wearing beautiful dresses vying with each other for glamour to get more spotlight, like Zendaya's stylist Awards dress, or your favorite stars showing off their charms on the stage, like Big Sean's 'Jump Out The Window, or the funny Spider-Man: Homecoming clip, you can watch the the MTV Movie Awards live on air. The MTV Movie Awards nominees this year were announced in early March. The winners are a mix of the biggest blockbusters and the award season powerhouses of the past year. Many other 2017 Oscar-nominated films like La La Land, Suicide Squad, 13th etc also find room here. See the MTV Movie Awards 2017 nominees & winners below to see if your favorite films are among the list. Moreover, 2017 blockbusters were also revealed on 2017 MTV Movie Awards.